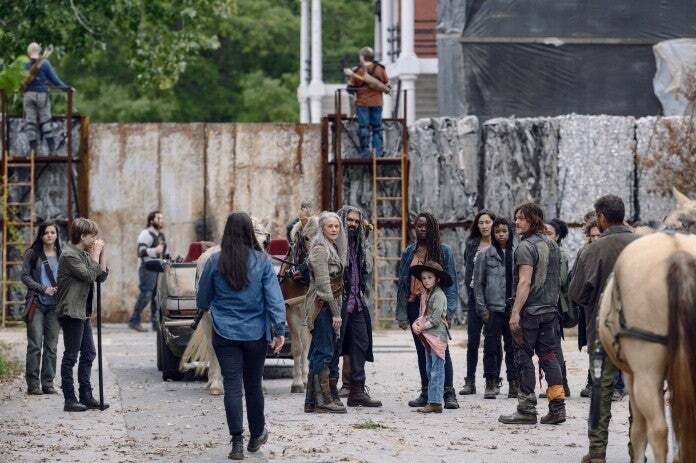 Photos released ahead of The Walking Dead 915, ‘The Calm Before,’ reveal the fair in full swing ahead of a devastating turn of events. 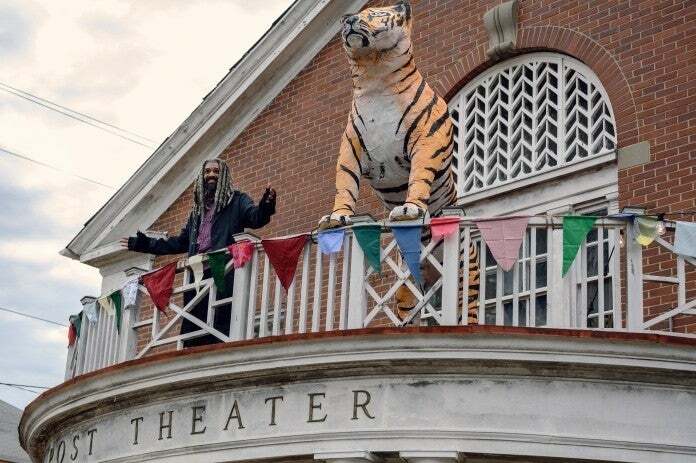 King Ezekiel (Khary Payton) hosts the fair, welcoming the communities of the Kingdom, the Hilltop, Oceanside, and finally Alexandria for a gathering the king hopes will lead to renewed bonds between the splintered factions of survivors. 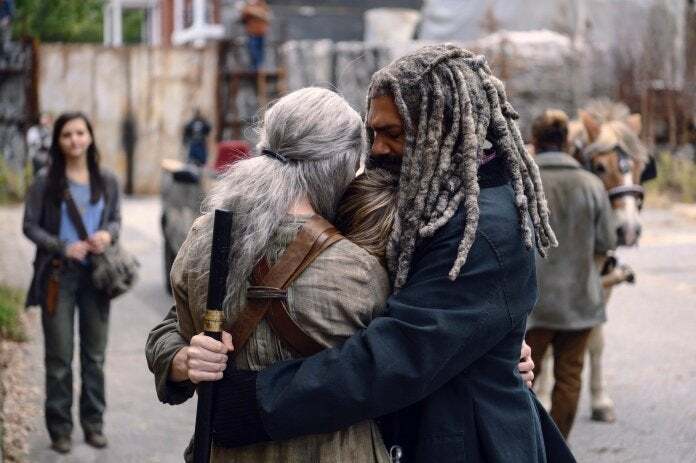 Among the photos is a long-awaited reunion between Carol (Melissa McBride) and Judith (Cailey Fleming), ending Michonne’s (Danai Gurira) isolationism caused by a traumatizing experience more than five years earlier. 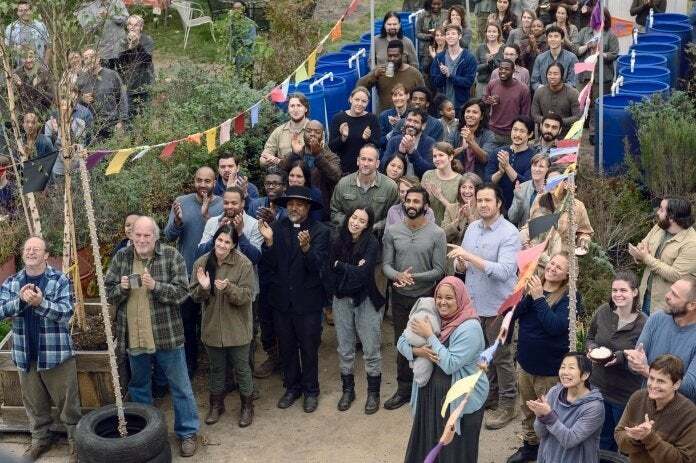 Official episode synopses previously released by AMC warn 915, the penultimate episode of Season Nine, will leave the survivors reeling from an “overwhelming loss” in the Season Finale. 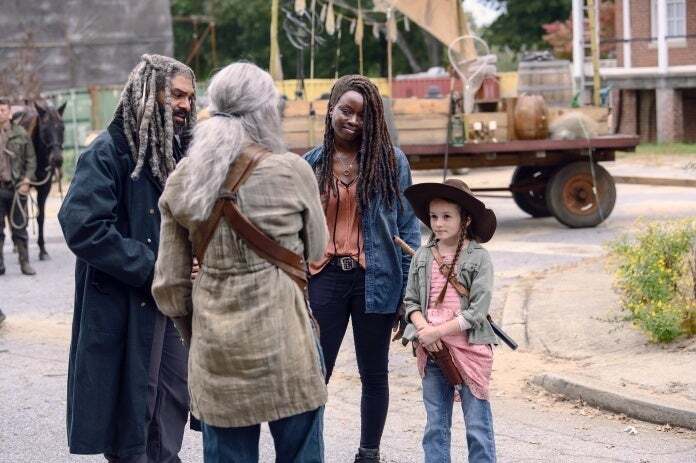 That makes the joys of the fair the calm before the storm, when Alpha (Samantha Morton), Beta (Ryan Hurst) and the Whisperers confront Daryl (Norman Reedus) and the others for crossing lines that were not to be crossed. 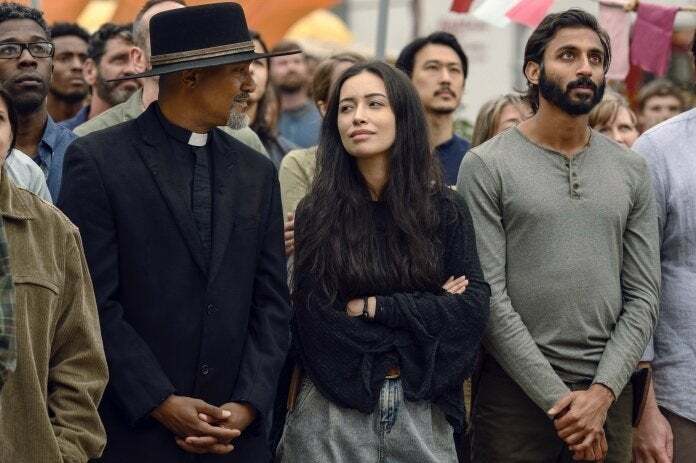 “We really dove into the idea of what this festival is in a real way for our people,” showrunner Angela Kang previously told EW. 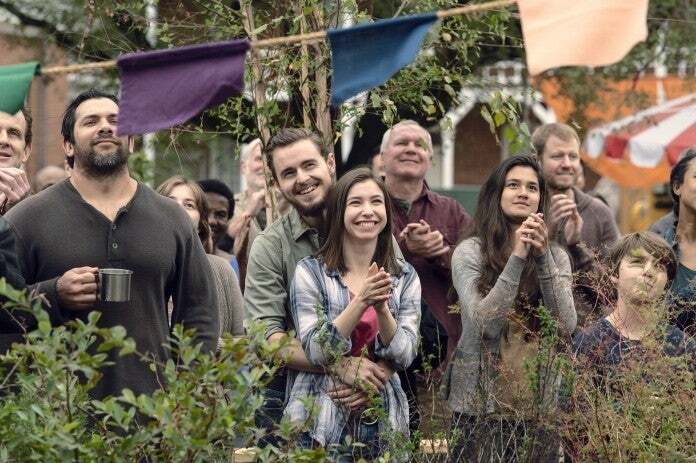 Official stills from the next episode of The Walking Dead, ‘The Calm Before,’ are to follow. 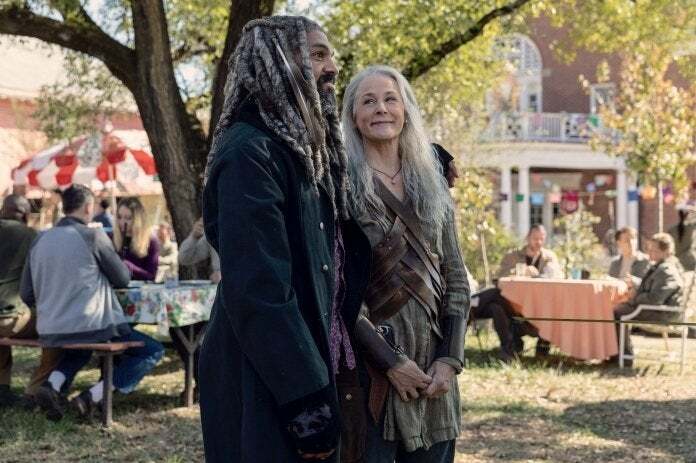 The penultimate episode of the season premieres this Sunday at 9/8c on AMC, followed by the the Season Nine finale, ‘The Storm,’ Sunday, Mar. 31. 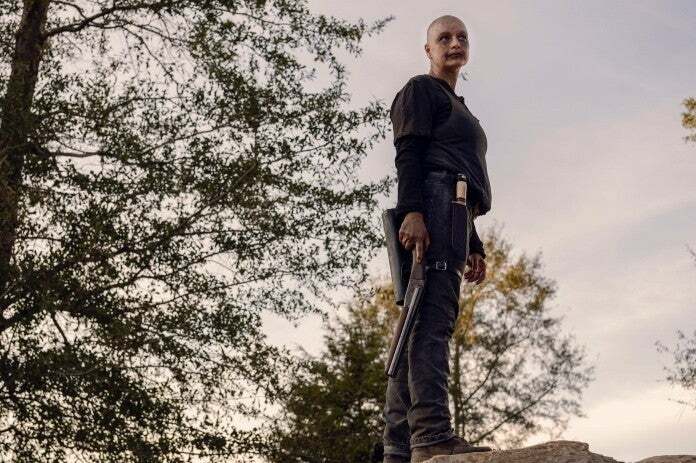 A tenth season, confirmed to be Gurira’s last, is now in development under Kang and due out in October.